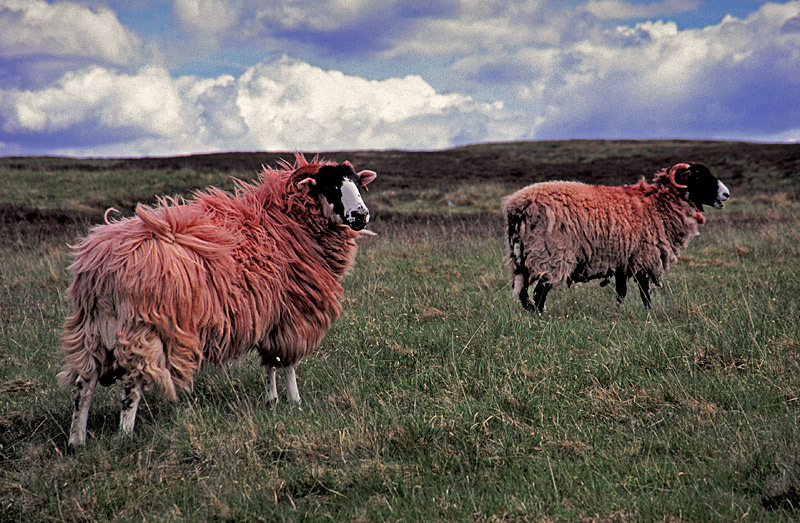 Okay, you're driving along in England, admiring the green green green, and then...red...sheep? Yep, there are some stunning sheep out there in the pastures of England. And the green and red together look so Christmas-y. But where did these sheep come from? 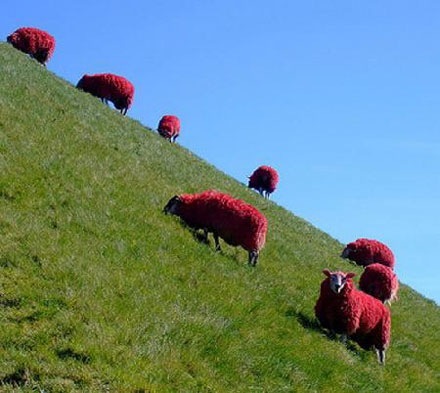 In the case of the red sheep above and below, their owner used a sheep dye to paint them red "for a bit of fun". 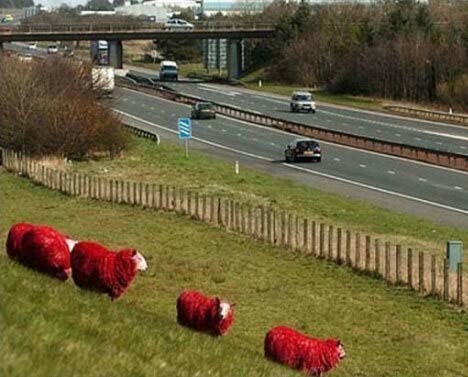 These sheep graze beside a busy highway, causing people to stop and stare. 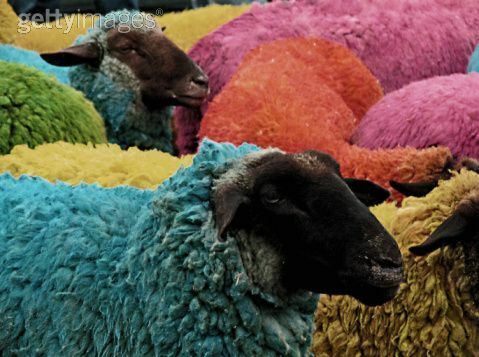 But farmers elsewhere color their sheep to make them easy to identify, or to discourage theft. 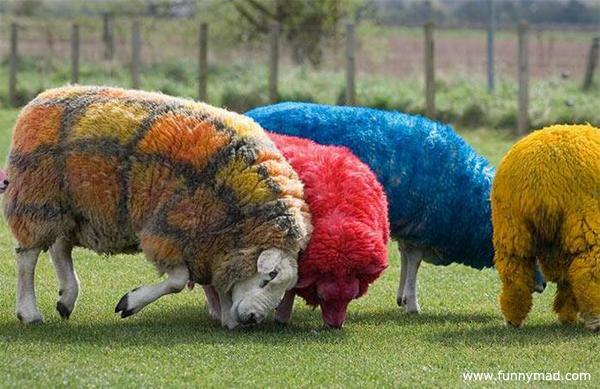 Check out the sheep below! 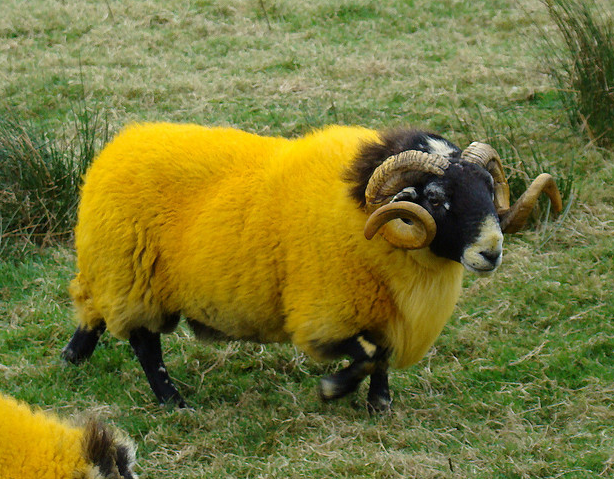 Even their horns are colored! I like this last one. Someone got a little crazy with the dye! 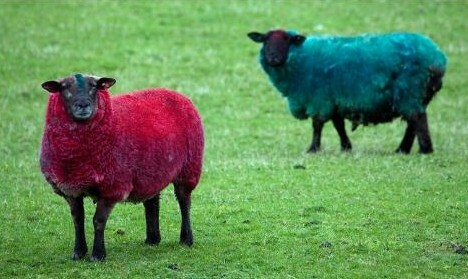 Ever see a colored sheep? Leave a comment and let me know. Whoa! I love them! :D They look fuzzyyyy. Yes; especially the yellow one! Yes, there is a Facebook page. Just search for I Spy Animals!